Orange County announces plan to publish reports. SANTA ANA — Planned audits looking into multiple aspects of Dana Point Harbor’s operations were confirmed to be delayed only hours after The Log reported Orange County’s Auditor-Controller’s office did not complete its review within the loose schedule announced in May 2016. The audit reports spawned from the discovery of an unauthorized hotel discount program in effect at Dana Point Marina Inn. The Log‘s report (see Feb. 10-23 issue) was based on its requests for information and updates to the Auditor-Controller’s office going unanswered. However Orange County Auditor-Controller Eric Woolery contacted The Log within hours of its report being published online and informed the editorial team his office was making progress on publishing the promised audit reports despite delays. A member of Woolery’s staff confirmed via email the Auditor-Controller’s office is concurrently working on four audit reports associated with operations at Dana Point Harbor. One report in the works is an expanded audit of the Dana Point Harbor Special Revenue Fund. The Auditor-Controller’s Office issued a pre-draft report to the Orange County Community Resources (OCCR) in January 2017. Once responses are received from Community Resources a final audit report will be publicly released, according to the Audit-Controller’s office. Responses to the audit were due within 60 days. Plans to audit operations at Dana Point Harbor’s Ocean Institute were also delayed, according to the Auditor-Controller’s office. Responses to an audit of Vintage Marina Partners’ work at Dana Point Harbor are due Feb. 24. A report will be published within a week after responses are submitted. The promised follow-up report on the initial hotel discount program audit is also still in the works, according to Katz. There is also a new audit in play: the Auditor-Controller’s office will be taking a look at Dana Point Yacht Club, Katz told The Log. “This new audit is currently in the audit management review stage. The fieldwork for this audit has been completed and an audit manager is currently reviewing this material. A pre-draft report will be issued to the agency for review once this process is complete,” Katz said. 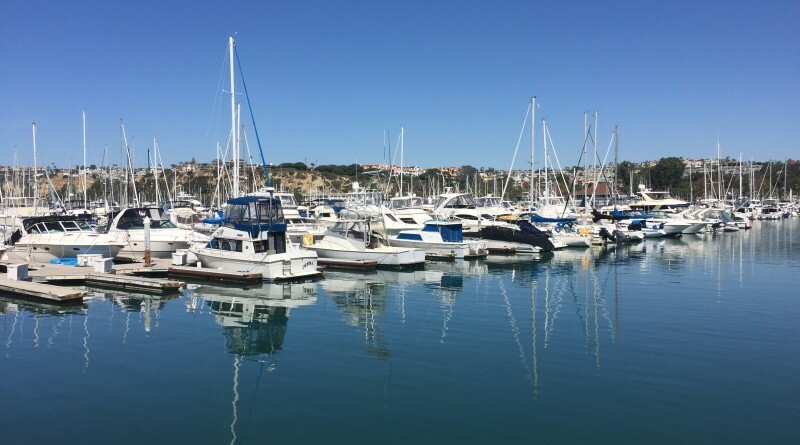 The content and focus of each report – and what it reveals about the county’s operations at Dana Point Harbor – is not yet apparent. County officials are currently reviewing candidates for a Dana Point Harbor director role that was vacated in May 2016, when the Auditor-Controller’s first audit report lead to the resignation of Brad Gross, the longtime manager of Orange County’s largest boating and waterfront venue. The May 2016 audit revealed county employees frequently offered an unauthorized hotel discount program to guests at Dana Point Marina Inn.